Your body creates more cholesterol as a response to deal with inflammatory issues within the body. So cholesterol is not the problem, it is merely the solution your body is using to try and heal itself. Inflammation in the arterial walls is the real danger, and if left unchecked the swelling can eventually shut off blood flow to the heart or brain, which can cause a heart attack or stroke. What Are The Inflammation Sources In The Body? When there is a high level of oxidation present in the body, there also tends to be free radical activity in the tissues. LDL oxidizes in the body due to consuming artificial, partially hydrogenated oils (trans fats), vegetable oils, genetically modified food, a diet high in refined sugars, alcohol and tobacco. Damaged cholesterol is found in powdered eggs, in powdered milk (added to reduced-fat milks to give them body) and in meats and fats that have been heated to high temperatures in frying and other high-temperature processes. Elevated levels of LDL also may be caused by chemical and heavy metal toxicity, liver toxicity and stress, hypothyroidism and kidney failure. “Bad” and “Good” Cholesterol? No Such A Thing! LDL (low density lipo-protein) is the “carrier” of cholesterol, sending out cholesterol to various parts of the body where needed. HDL (high density lipo protein) takes cholesterol back to the liver. LDL and HDL are neither “good” or “bad”, they are just cholesterol. However, once the pharmaceutical companies realized they could easily produce a drug to lower blood cholesterol (and so make huge profits) they simply bought and paid for the “science” to “prove” their theories. This way, the “good and bad” cholesterol scam was born and continuously fed with heavy marketing campaigns over the years. Low levels of HDL reflect a sedentary lifestyle. Doctors and others who push the misinformation about raising HDL as being a good thing, fail to address that HDL levels greater than 75 are actually correlative with autoimmune processes. This is a strong possibility especially if triglyceride levels are low (less than 40). Excess consumption of alcohol, drug use, hypothyroidism, and excess estrogen can also cause HDL levels to become too high. 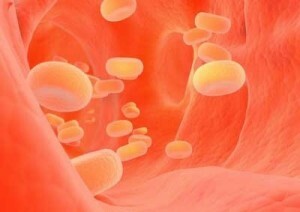 High serum cholesterol says nothing about how much cholesterol is in the tissues. As people begin to heal and correct their metabolic imbalances, the blood cholesterol may go up, because it’s leaving the tissues!Most people, including doctors, feel they need to immediately take action on “righting” the “numbers”, when they look at these “snap-shots” of a moving picture in the body. It’s not enough to look at the high and low numbers of LDL and HDL. The particle size of LDL cholesterol and the C-Reactive Protein (the protein found in the blood, the levels of which rise in response to inflammation) should also be checked. What does the particle size of the LDL tell us? A healthy LDL particle is big and fluffy – and as a result, it naturally flows through the system and is non-problematic. However, when the particle size is small and dense it doesn’t flow so smoothly and has a tendency to get stuck in the small gaps in the arteries where nutrition flows in. When this happens, like all things that are stagnant, it creates inflammation and the beginnings ofatherosclerosis. The “cholesterol scam” initiated by the pharmaceutical companies ingrained the idea that a total cholesterol number of 200 needs immediate “action” : either a drug or/ and no saturated fat and cholesterol rich foods. Not only is a total cholesterol value greater than 200 not necessarily high, for many people it is normal and very important! Protein types as defined by the Healthexcel System of Metabolic Typing often have values greater than 200 while being very healthy. These types thrive on a higher ratio of saturated fat and cholesterol containing foods. So my advice to all of you is start educating yourself about what cholesterol really means before you decide for the medication and for avoiding saturated fats and cholesterol rich foods. Non of these will work. It will be like killing the messenger (cholesterol) for delivering you bad news. Are Grains Good or Bad? How Bad Is Junk Food For Your DNA?